Patients who are experiencing menopause can be faced with symptoms that affect their overall quality of life. In Oxford, North Carolina, patients are encouraged to visit the professional healthcare providers at the Center for Women's Health if they're beginning to notice the changes associated with menopause. The staff can assist them in treating the symptoms and taking the steps needed to improve their quality of life. Menopause is the transition from being actively able to bear children to the reproductive system becoming more dormant. While the system still functions, it produces fewer hormones and has less of an impact on a your overall physiology. Symptoms often begin in the mid-40s and can last for several years. The severity of the symptoms that you experience will be different than what someone else may have. No two women will experiencing the same symptoms in the same way. When is hormone replacement therapy recommended? If you have severe menopausal symptoms that begin to affect your quality of life, you may need to take hormone replacement therapy to help bring your body back into hormonal balance. As menopause begins, the amount of estrogen produced by the ovaries begins to decrease. This decrease can be dramatic, causing symptoms to be more severe. When this occurs, it can be difficult to sleep or concentrate while at work. By using hormone replacement therapy, you'll slowly be brought back into balance. Not all women will need to use hormone replacement therapy, but those who do will notice relief from the symptoms as soon as hormone levels begin to fall within a more natural range. Perimenopause is the earliest stages of actual menopause. The signs can be noticed as early as the late 30s. This stage of menopause is very subtle. You may tend to overlook the symptoms as part of your monthly cycle or the possibility of a virus. Symptoms may come and go but will begin to increase as menopause draws closer. Menopause may last a few months or a few years. Each patient is different when it comes to their body adapting to change. You may have a period of perimenopause in which your symptoms are extremely mild, but can last for several years. 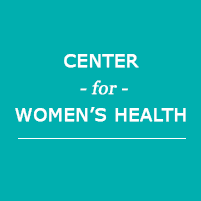 If you believe you're entering menopause or if you have started to experience perimenopause symptoms, you should contact the Center for Women's Health to discuss the possibility of hormone replacement therapy or other treatment options.